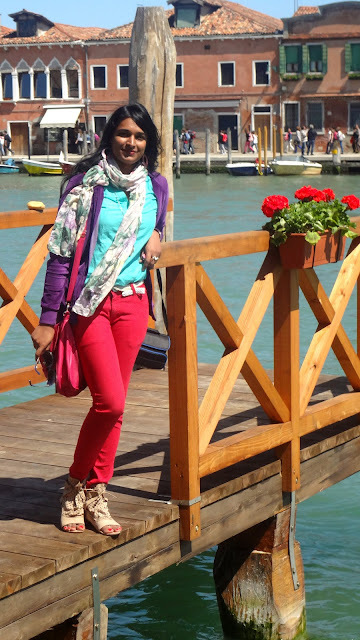 What i Wore in - Venice ! 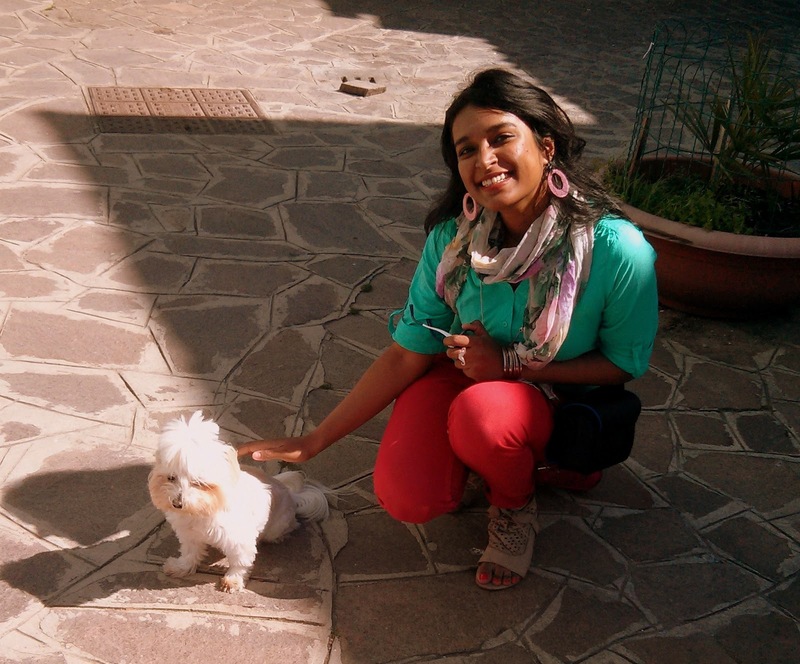 Nothing makes me more happier than sharing this promised post with you today! I have kept you waiting for so long i know.The lovely Mediterranean vacation, will be shared in bits in each post starting today. 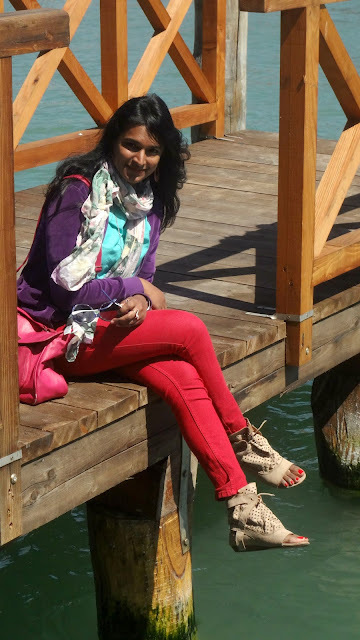 Believe me, the most difficult task is to pick 5-6 pics out of the 100s that i would love to share.Challenge accepted!This post is about what i wore in one of my favorite cities, Venice which is a group of islands. 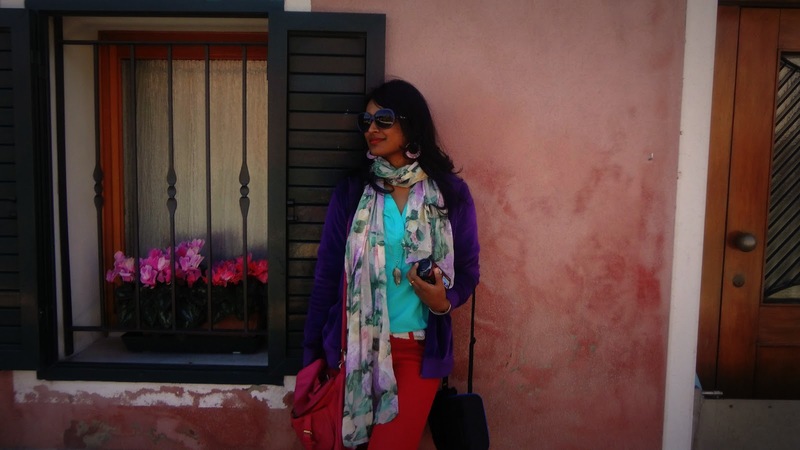 You can see Venice City, Murano Island & Burano Island in this post. This post is one of the most colorful ones ever! Weather forecasts went haywire but i pulled out the best possible clothes that would cover me head to toe leading to what you see , a melange of vibrant shades !In my next post on Venice, I will share what i captured especially for TFMQ readers on my lense ! 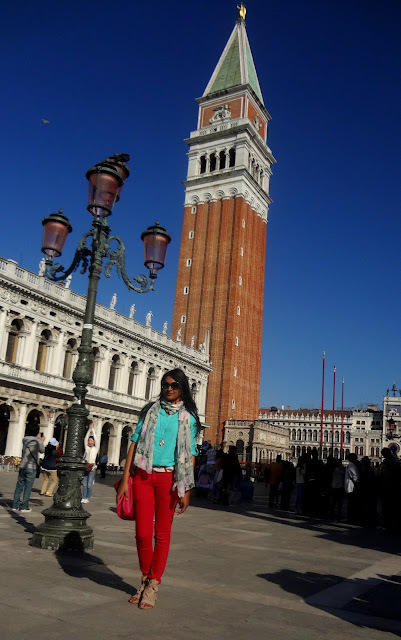 The picture was taken at the St Mark's Campanile, the bell tower of St Mark's Basilica in Venice. Stands around 100 meters tall, Venice's largest bell tower has been the inspiration for several other towers across Europe and North America. 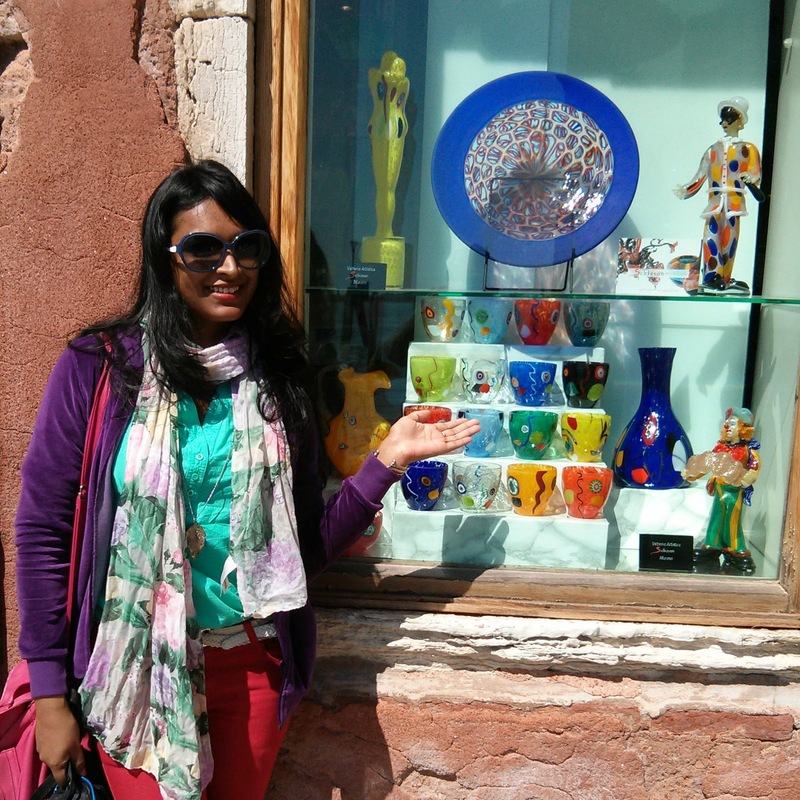 Murano Island, famous for glass-making, is the most popular island to visit. A few centuries ago, all glass makers were required to live on the island to protect the glass-making secrets. Today the tradition of glass making continues here . Some glass factories allow visitors or tours and there are many shops selling glass creations and souvenirs. Behind us, you see the The Bridge of Sighs. The enclosed bridge is part of the famous Doge Palace, made of white limestone and has windows with stone bars. It connects the New Prison to the interrogation rooms in the palace. 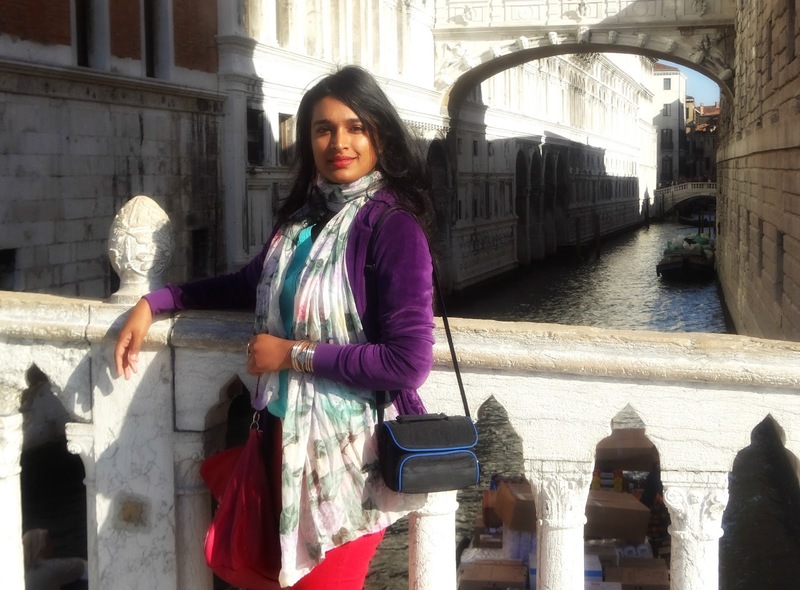 The view from the Bridge of Sighs was the last view of Venice that convicts saw before their imprisonment!!! I love this colour bright colour block look. You look radiant babes. Waiting to see more holiday pics. you look fun and colorful! The pictures are lovely! Thanks for the sneak peak into your trip. I'll come back later to enter the giveaway Ila.